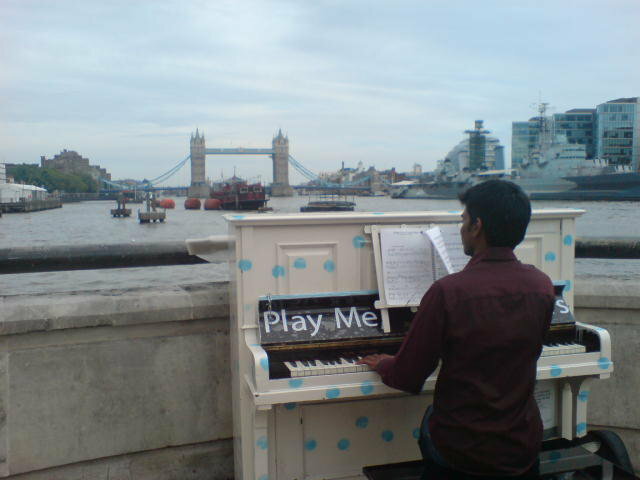 Music Composer Denis Fernando will be performing at London LGBTQ (Lesbian, Gay, Bisexual and Transgender and Queer) art festival GFEST in November 2011. GFEST is known as ‘LGBTQ art fest for all in London’. GFEST 2011 dates: 7 to 20 November. GFEST features established alongside fresh or young LGBT artists and queer talent across the arts, including LGBT short films, visual arts, theatre and performance, debates, workshops and parties. We chatted with Denis about his music and the musical influences on his work. How do you see your own art or your music? Art of any kind is really hard to quantify – that’s what makes it really interesting – you can be inspired by the most personal event or feeling but what is great is when it means something to other people. Weirdly enough, I see it as popular music – even though its often described as classical. I think Pop music is an under rated art form. Yes definitely, my debut single Prelude to the Nocturne, was influenced by Malcolm X’s philosophy that darkness is seen as evil – I wanted to create something that reflected darkness as beauty. How do you look at reflecting progression in your work? Experimentation, trial and error are the best way to do this – taking a risk and trying something new on a blank page, without being afraid that it may not be any good…. What feeds into your creativity? I’m very much a music based person – so if I can write a song that I want to hear repeatedly I’m happy with it. It tends to start quite randomly – some of the pieces I’m performing have come together over years – because they are instrumental, often the title and the theme is the last thing that happens – a piece of music takes on a life of its own if you get the title and the meaning of it just right to match the way it sounds. I could crack out a good tune on the piano! Ive just seen hip hop artist Lowkey’s new video ‘Hand on your gun’, which is about the companies behind the arms trade, and ends with footage of a baby who has been born with birth defects due to depleted uranium. Its heartbreaking … and a powerful way of getting the message across about the human cost of the arms industry. He has made history by going top 10 within a week of his release without a major label, and by sticking to his principles. So right now, my wish would be that the arms trade would come to an end. Thank you Denis & best wishes from GFEST team.